The Colony Theatre Company is thrilled to present an unforgettable evening with an unforgettable man, AN EVENING WITH NORMAN LLOYD, as a one-night-only special event for The Colony Theatre on Sunday, December 5 at 7pm at The Colony Theatre, 555 North Third Street (at Cypress) adjacent to the Burbank Town Center. Join us for a delightful evening with Norman Lloyd, as he answers your questions and shares stories about his work with Orson Welles and the Mercury Theater, his close relationships with people like Alfred Hitchcock and Charlie Chaplin, and his experiences on Broadway and in film working with the biggest names in the business. In an acting career spanning 8 decades, Norman Lloyd has worked with the biggest names in show business. Following an early education in the theatre, Norman joined the famed Mercury Theater in his 20s, working onstage and in radio alongside Orson Welles, John Houseman, and Joseph Cotten. In 1942, Norman came to Hollywood to work with Alfred Hitchcock in a pivotal role in the film Saboteur, having been personally recommended by John Houseman. Soon other prestigious roles followed, including another stint with Hitchcock in Spellbound, The Southerner for Jean Renoir, and A Walk in the Sun for Lewis Milestone. Norman also co-starred in Charlie Chaplin's Limelight, which led to a lifelong friendship with Chaplin. Norman was also a formidable presence behind the camera, first as an associate producer for Milestone (working on Arch of Triumph with Ingrid Bergman and Charles Boyer) and then as a director and producer for the groundbreaking TV show Omnibus. Later in his career, Hitchcock employed Norman as a producer on the famed TV show Alfred Hitchcock Presents, where he eventually became executive producer. Norman and John Houseman later teamed up again to produce and direct Charles Laughton in the world premiere of Bertolt Brecht's play Galileo. But Norman never stayed away from acting for too long. He appeared on Broadway numerous times, including a production with Hume Cronyn and Jessica Tandy in Madam, Will you Walk? and a legendary production of King Lear with Louis Calhern that cast Norman as The Fool. He has made countless appearances in episodic television, including a six-year stint on St. Elsewhere as Dr. Auschlander, a role and an experience he credits as being his most satisfying. He went on to play stand-out roles in Peter Weir's Dead Poet's Society and Martin Scorsese's Age of Innocence and more recently co-starred with Cameron Diaz and Shirley MacLaine in In Her Shoes. He recently filmed an episode of the TV hit Modern Family, and he is the subject of the 2007 documentary Who Is Norman Lloyd? which chronicles his 8-decade career in show business. On the personal side, Norman has been happily married to his wife, Peggy, for 74 years - one the longest and most enduring in Hollywood history. AN EVENING WITH NORMAN LLOYD is a One-Night-Only special event which will be presented on Sunday, December 5 at 7:00pm; followed by a light reception in the lobby. Tickets are $25 - $35 and are available by calling the Colony Theatre Box Office at 818/558-7000 ext. 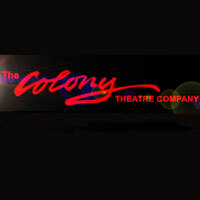 15 or online at www.colonytheatre.org.